So another show begins with a shot of his delicious chest. It's like the producers read my blog or something. And there's no messin' around tonight, as the first one-on-one date quickly embarks between Sean (whoops! have I been misspelling his name all this time? Must've been that chest) and Lesley (she coulda stood a root job herself), and the two play tourist at the Guinness Museum. After viewing the world's smallest woman, the world's tallest man, and Sean's own father's personal world record, Sean brings Lesley out amongst an anxious crowd to cheer them on a challenge of their own - to beat the world record of the longest on-screen kiss (someone pass the chapstick)... Apparently, the record had been set for 10 years, but lo and behold, the two did surpass the marker of 3mins 15 secs, and what better way to start a budding romance? Their date is sealed with a chapped-lip kiss and a rose for Lesley. Shocker. She just lip-locked with him for nearly the length of a pop song how could he not give her the rose?? The group date is a competitive beach volleyball game with 2 groups of 6 ladies. The prize for the winning team? Quality time with the Bachelor, of course. The losing team had to ship back out to the mansion, and they were as sore as sore could be, complete with a few ugly tears (seriously? I could be in bed now). The 'winners' were KacieB, Amanda, Taryn, Des, Leslie and Lindsay-the-bride. Last episode Amanda showed her moodiness as she stared off into a different dimension when she was among the girls, and then was Joe Smiley when Sean came near. KacieB feels there's something "sinister" about her and approaches Sean, who calls her a crazy person...and then ultimately gives Lindsay-the-bride the group date rose. AshLee is the final girl to get a one-on-one date, and just as she is about to ride off with Sean a loud crash is heard in the distance, and all of a sudden we see Tierra crumpled up in a heap at the bottom of the stairwell. Sean insists they call a medic, and as she is strapped to the board by about a dozen medics she begins to cry and insists they let her go because it was unnecessary....and then snuggles on the back deck with Sean, all smiles. The girls have their suspicion that she's playing it up like the boy who cried wolf, and I gotta say, it does look fairly plausible...she was on the losing volleyball team, so before this, she virtually had no time with him this week... Sean finally pulls himself away from the patient and he and AshLee jump in Sean's jeep and off they go to Six Flags Amusement Park (the entire park to themselves, and two chronically ill children (handsome and a heart of gold...yes, that noise you hear in the distance is all of America swooning)). They spend the day together riding coasters and end the date with a private country concert. The two share some intimate time getting to know one another, and she opens up about a bit of a rough childhood, which brings Sean to tears (jeeeeeeeze, he's handsome, has a heart of gold, AND isn't afraid to show emotion), and AshLee gets the date rose (ok, waaaaitaminute....she admits she's opened up more to him than she's 'ever opened up to anyone before'...really?? You've known him for...two weeks??). The cocktail party was a proverbial tug of war and jealousy with one girl pulling on Sean's arm just as he sat with another one, and none of them could complete a sentence. Before the rose ceremony even begins, with rose in hand, mind you, Sean then pulls KacieB aside to let her go. How not waiting for him to give out his batch of roses would have made it any easier on her, I'm not sure, but maybe it was the principle of the matter? Joining her on the road home were Taryn and the Ford model. I shan't miss either. One - Sarah's voice DRIVES ME BATTY! Two - Ford model chick is NOT PRETTY! P.S. ooooh next week looks good...roller derby, eh? I wonder if Tierra's old stairwell injury will be back to haunt her? *Sarah, after Sean arranged for her to reunite with her dog, since he didn't have any one-on-one time with her this week. "I'm vegan but I love the beef"
In case any of us forgot just how awesome his chest is, the episode begins with a close-up of the chest mid-workout and post-workout-wet-shower-goodness. Mmmm, mmm, mmm....where was I again? Oh yes, episode two. Yeah. The lucky lady on the very first one-on-one date was Sarah, and I mean no disrespect, really, I swear, but if she does NOT stop going on about only having one arm I'm going to SCREAM! Yes, you're different, and yes, I'm certain you are just as capable as anyone with two good arms...but honey, you're the ONLY ONE making anything of it...shut UP already. They strapped up and free fell down the side of a skyscraper and onward to a champagne toast. We heard her bemoan her 'disability' just a little bit more. That's it, though, right? She's got it all out, right? The group date takes place in a big castle where they got spackled and fluffed to the max for a photoshoot for future Harlequin romance novels. Of COURSE the Ford model was one of the 13 girls. Tierra was as well, and we're witness to the very first inklings of her jealous streak and the distaste the other girls feel toward her (hello drama! loves it!). Yogi sends herself home (and hopefully onto the drugstore for that VO5) and KacieB gets the group rose, and smugly rubs it in the noses of the other girls as she 'toasts' their date. The next one-on-one date is given to Desiree, and a pactical joke at an art gallery, and as a result of her being such a good sport through it all, she is rewarded with a homecooked meal at Shawn's hand, in his place (I don't believe for a minute that he made it). They appear to share some good chemistry. I think she's adorable. And they'd make gorgeous babies! (Oh, and I love how he's nicknamed her "Des"). Brooke (who?? ), and Diana get the boot, and the next episode looks much more exciting than this was. Did ya watch? Alternate post title:"Tacky hoes are a dime a dozen"
And, truth be told, as cute as a short video is, I'm sorta glad my Zoe is probably more in the "normal" dB range. Happy Monday! 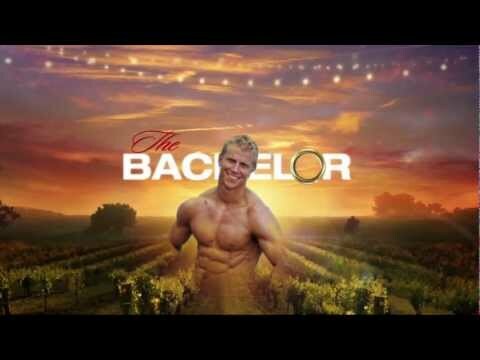 A return to the Bachelor, and maybe a few more regular blog posts for ya'll. This season's installment stars the beautiful beach-blonde, muscle-bound Shawn Lowe. We were first introduced to Shawn when Emily was trying her hardest to find Mr. Right. Many viewers felt she made the wrong decision for letting Shawn pack up and go on his merry way, but now we're reaping the benefits of just that, as he embarks upon his own journey to find a mate. He's super cute, has an amazing chest, and he seems pretty darn sweet, to boot, doesn't he? AshleyP- That girl is just 50 Shades of WRONG! I hated her before her pre-meeting-Shawn introduction was over. Her behaviour at the cocktail party was appalling (although I might have rewound her fall about 5 times...helllooo, trainwreck, thy name is Ashley!). Kelly the lounge singer - overdosed on her self-tanner and her hair extensions. She didn't make any first impression on me - nor Shawn, to my delight. Robyn - she who opts to do backflips in a sequined dress deserves to fall on her face (everyone wants to make a good first impression, but that was ridiculous). Tierra - First impression? I kinda like her; her interview tape was cute; I love her tattoo, and I LOVE the fact that Shawn opted to give her a rose before even meeting the rest of them (take that for a leading first impression, backflipper). However, if the teaser at the end of the first episode is any indication, she may turn out to be the next girl we all love to hate. Ah, drama....Bring it! Kristy (the Ford model) - her self-assuredness is going to get old. Quick. Lindsay-the-bride - a little much. if you ask me. You're not a goofball you're an idiot. And I can't believe you got the last rose. He should have kept the one who travelled all those miles... Who knows, though. Maybe once she sobers up she'll surprise us all? KacieB - as in B from Ben's season. Hey, everyone deserves love, right? And Ben didn't love her, so she called the producers to see if maybe Shawn would. I always liked her so I'm not upset to see her join the fun...a little added jealousy for the other girls might be a little fun, too. Desiree -I like her, too. She's really cute, and seems like she's down to earth - not phoney like about 75% of them. If I had to pick one out of the lot to be the last girl standing after having seen just the first episode, I'd go with her. Ahhh ABC, once again, you've made my Monday nights (err....well, in this case, my Sunday night, as I finally got to watch last week's premiere episode courtesy of the PVR). Since it's recorded, maybe I'll go back and watch that fall again...). Stay tuned, girlies! **Optional post title: "A little bit of a bum-ski"